Some of the fastest growth among credit unions happens when focus shifts to serving those most in need. Some of the fastest growth among credit unions is happening where credit unions focus on serving the neediest in their communities. 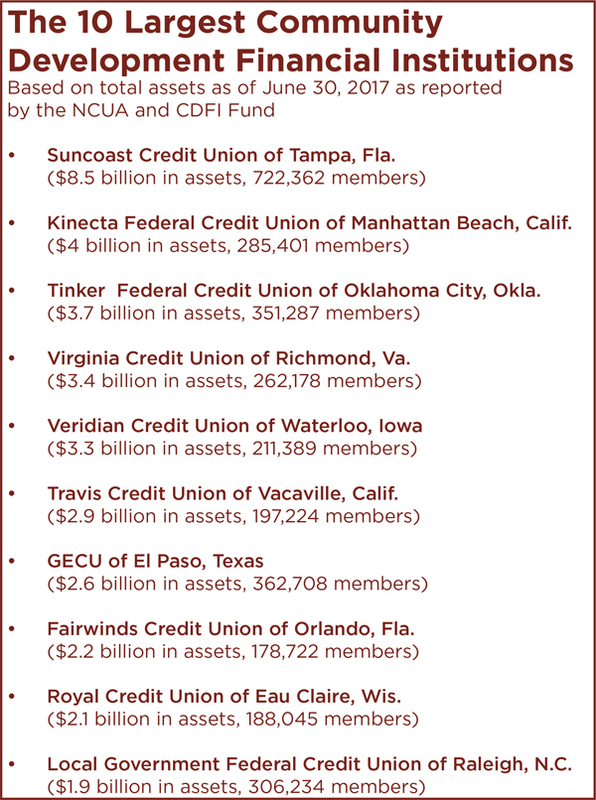 Nearly one in 10 credit union members in August belonged to a credit union that the U.S Treasury Department has certified as a Community Development Financial Institution.